I spent a bunch of time with this book today, and boy am I happy I did. All this talk of undecorating and relaxed style and the rise of DIY was starting to get to me a bit. Sure, I've written before about sometimes getting decorating enui, but I always come back. Always. I find Charlotte Moss rooms positively intoxicating. I remember seeing this room below at the 2006 Kips Bay Decorator Showhouse and just standing at the velvet rope staring while other visitors filed in and out around me. The room was large and was roped off so you weren't able to walk through it. So, I started scanning the space from the left and worked my way back and forth and across the space, trying to read every detail. Photos were not allowed. This new book of hers opens with extensive coverage of the room. Wonderful. Now, I know this is super wrong in the world of copyright, but I just have to share a couple of pages of the books that I very much enjoyed today. 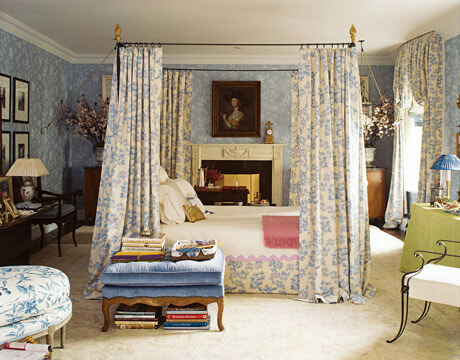 Charlotte Moss can decorate a room like few others -- she doesn't miss a trick. I LOVE the large wicker chest as coffee table, the classic slipcovered sofa in plain fabric, that delicate little floor lamp that's happy to play second fiddle to the mirror -- all are fantastic. 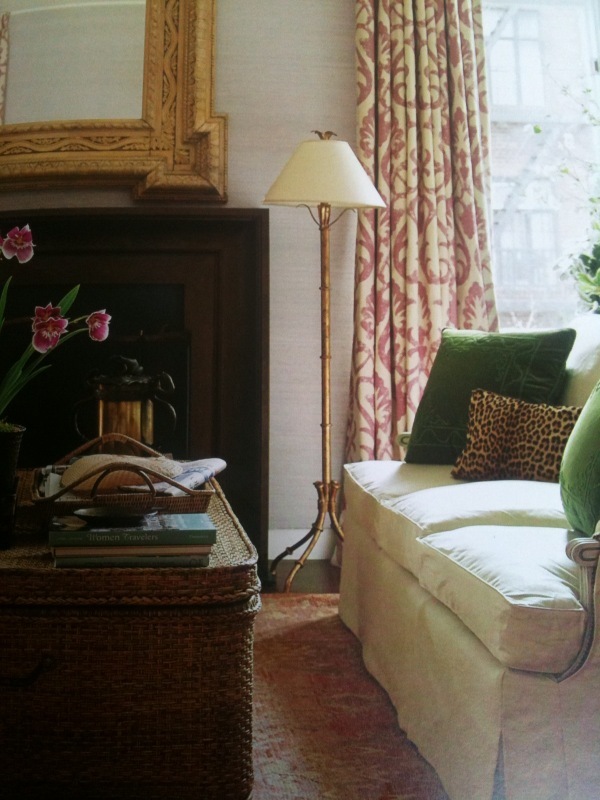 But the moment that really gets me here is the interplay of texture, colour and pattern between the wallcovering, drapery, the green pillow and the leopard one. I just love this. This is decorating. You know how I adore this coral colour. I just DIE for it. Just look at how the drapery is bordered in it. And I have a thing for skirted tables lately -- this is a fine example. But the pièce the résistance is the little gem on the floor on the left side -- it's an exquisite little dog house ottoman. My girl would love that thing - so cozy and chic. And look at the yumminess of this image. 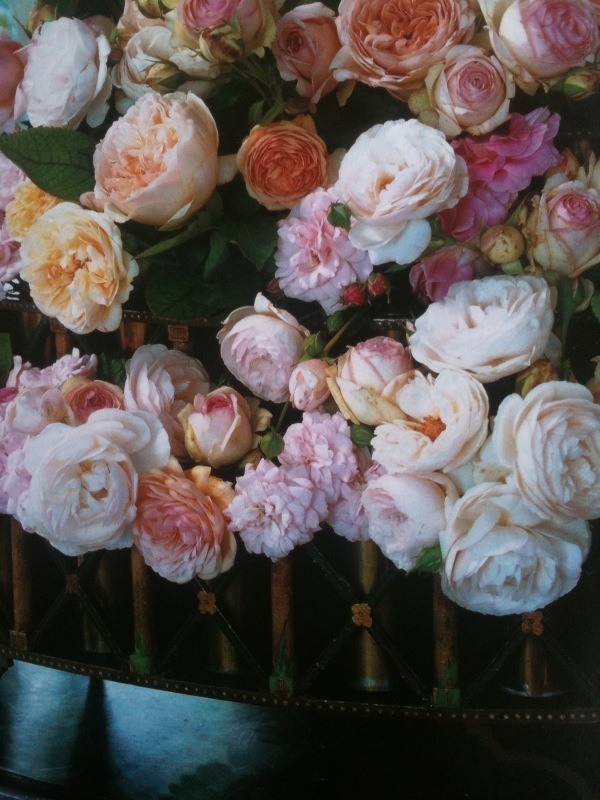 Ms. Moss devotes a whole chapter to how she employs flowers and scent in her rooms. Bless her for including this in her book. See, I told you, she doesn't miss a trick. 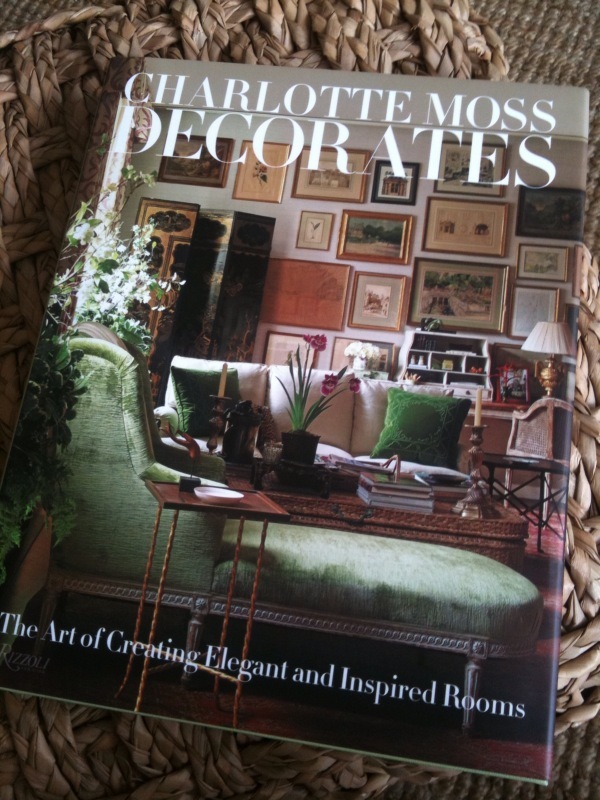 All images from Charlotte Moss Decorates (Rizzoli, 2011) by Charlotte Moss with Mitchell Owens. 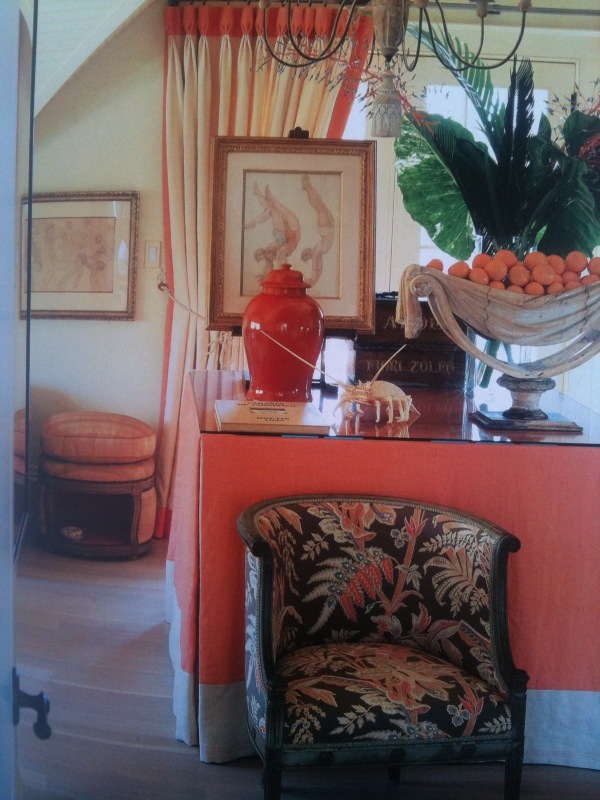 Photos Pieter Estersohn, Eric Striffler (coral accented room), John Hall (flowers).